Fruit softening is associated to cell wall modifications produced by a set of hydrolytic enzymes and proteins. Expansins are proteins with no catalytic activity, which have been associated with several processes during plant growth and development. A role for expansins has been proposed during softening of fruits, and many fruit-specific expansins have been identified in a variety of species. A 3D model for VpEXPA2, an α-expansin involved in softening of Vasconcellea pubescens fruit, was built for the first time by comparative modeling strategy. 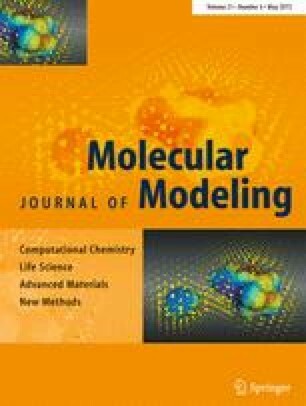 The model was validated and refined by molecular dynamics simulation. The VpEXPA2 model shows a cellulose binding domain with a β-sandwich structure, and a catalytic domain with a similar structure to the catalytic core of endoglucanase V (EGV) from Humicola insolens, formed by six β-strands with interconnected loops. VpEXPA2 protein contains essential structural moieties related to the catalytic mechanism of EGV, such as the conserved HFD motif. Nevertheless, changes in the catalytic environment are observed in the protein model, influencing its mode of action. The lack of catalytic activity of this expansin and its preference for cellulose are discussed in light of the structural information obtained from the VpEXPA2 protein model, regarding the distance between critical amino acid residues. Finally, the VpEXPA2 model improves our understanding on the mechanism of action of α-expansins on plant cell walls during softening of V. pubescens fruit. Homology model, molecular docking and MD simulations exploring the α-expansin interaction from mountain papaya fruit (VpEXPA2) with two putative ligands. Homology model of VpEXPA2 in surface and cartoon representations, showing the two-domain structure (left). A cellulosic ligand (cellodextrin 8-mer; center) and a hemicellulosic ligand (right) shows different conformation into the open groove of VpEXPA2, and are in agreement with the binding energy differences. The online version of this article (doi: 10.1007/s00894-015-2656-7) contains supplementary material, which is available to authorized users. L. Morales-Quintana acknowledges CONICYT for a doctoral fellowship. This work has been supported by Initiation FONDECYT grant N° 11100481 and CONICYT Anillo ACT-1110 project.